This is a Curly Sheep headdress. It is a ONE-OF-A-KIND !! It is made from the rare Wensleydale Curly Sheep first bred in the UK & now considered “at risk” with fewer than 1500 registered breeding females. These animals are now being successfully bred here in the United States & are not considered by the US to be endangered or at risk. 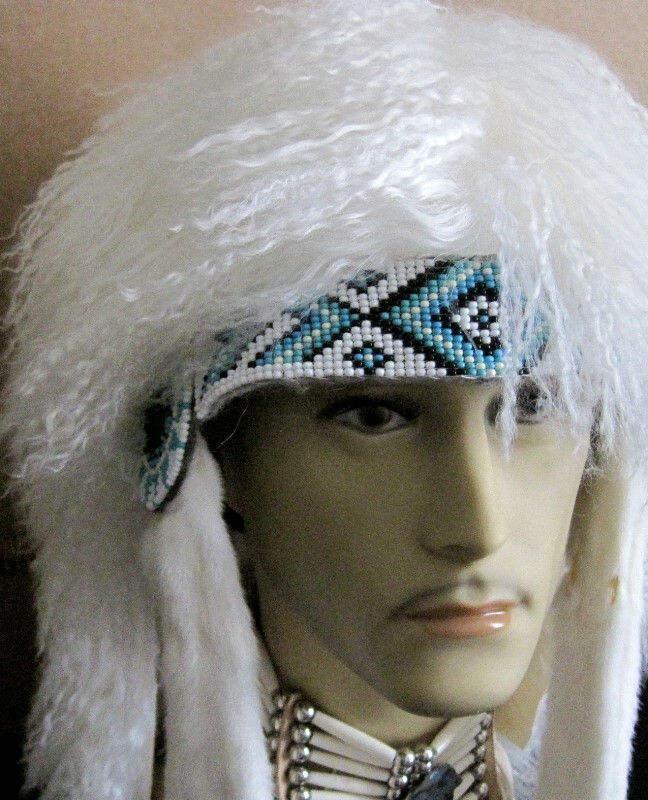 This is a short headdress fastened to a felt skull cap. The curly sheep skin covers the entire head & falls to the shoulders in the back. 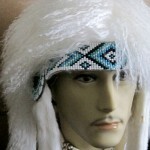 There is a fully beaded brow band & matching rosettes, hand beaded & stitched to the headdress. 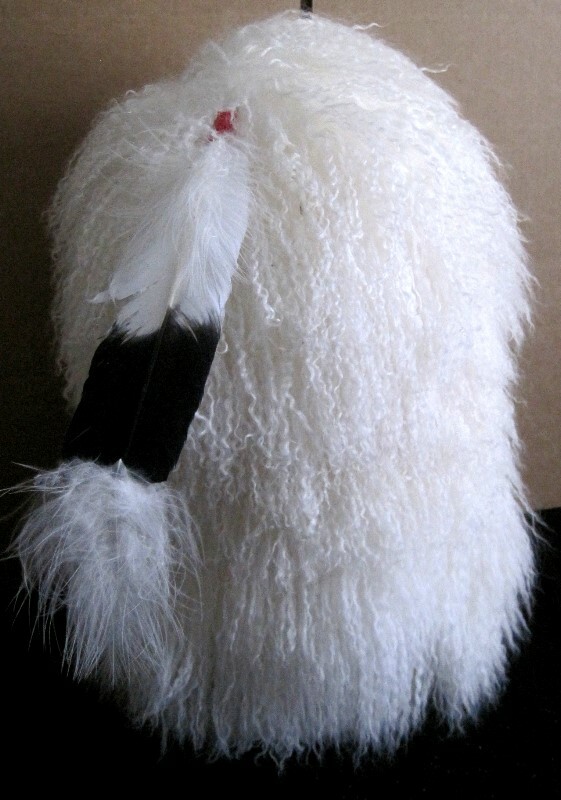 It is further adorned with four (4) genuine soft, full white winter ermine skins. Ermines are increasingly becoming more rare & expensive. 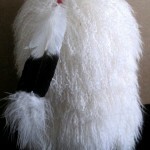 A single, good quality imitation eagle feather is decorated & placed in the crown of the headdress as the honor feather. 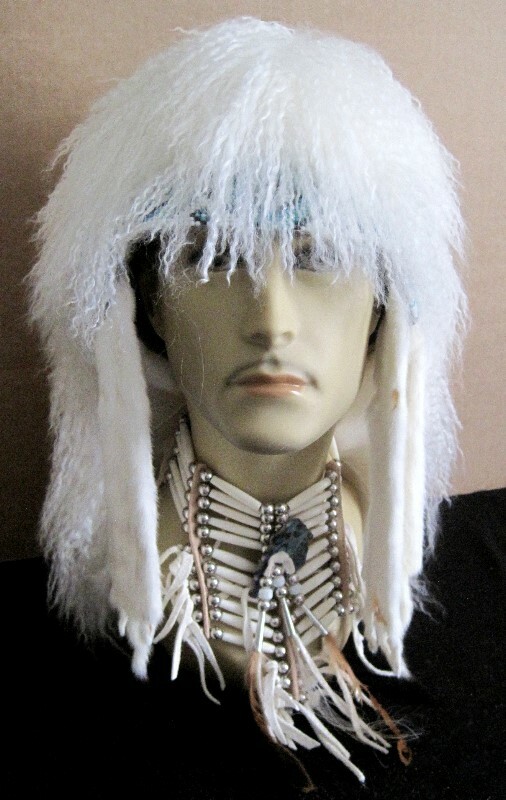 The headdress measures approx 18 inches from top to bottom & one size fits all. 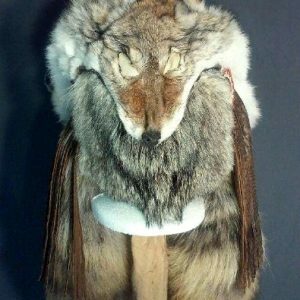 This headdress is made by genuine native Americans from the Navajo people. A certificate of authenticity is attached with makers name & tribal affiliation. 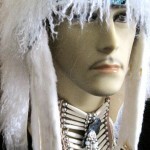 The headdress is pictured on a mannequin bust wearing a 11 row mini breastplate choker for decoration. 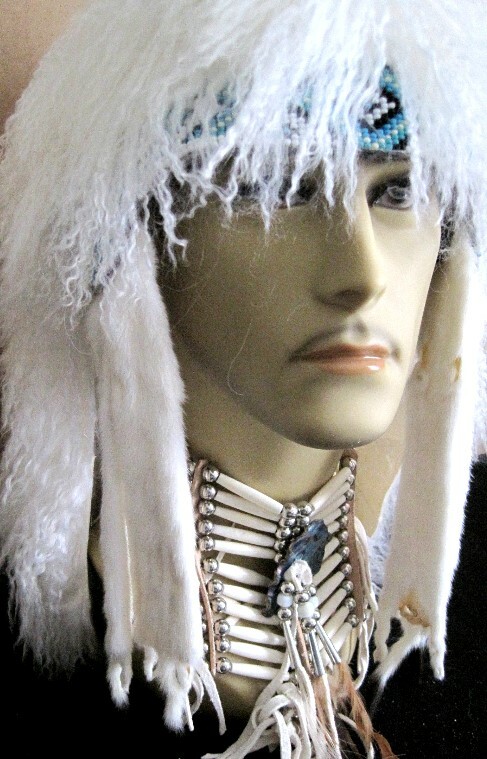 The bust & choker are not included with the headdress. The mini breastplate choker is available and sold separately.